March 22nd is the 81st day of the year (82nd day in leap years) in the Gregorian calendar. There are 284 days remaining until the end of the year. On this page, we have placed information about March 22nd, including famous people born on, historical events that occurred on, holidays and observances that fall on, and astrological connections of, this day. 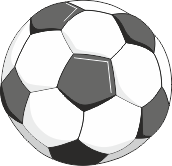 1888 The Football League, the world's oldest soccer league, is founded. 1907 Taximeters introduced in London taxi cabs. 1923 First radio broadcast of an ice hockey game. 1950 Egypt demands that Britain remove all its military forces from the Suez Canal. 1963 Please Please Me, The Beatles' first album is released. 1972 US Congress sends the Equal Rights Amendment to the states for ratification. 1993 Intel introduces the Pentium microprocessor. 2006 ETA, the Basque separatist movement, declares a permanent ceasefire.